Oh goodness, yes. I am in a relationship, who isn’t? So I’ll tell you a little about us, in case you are wondering. Sorry if it’s too much, but I’d like to share our unique story. If you have an awesome love story, please share it with me! I’m a sucker for a love story. I moved to a new school in middle school. I was a scared little girl, even though I was really mean. The bus was what I was afraid of most. Gosh, I hated nothing more but to spend 50 minutes on a bus full of nasty, loud, stinky kids. They disgusted me. Through middle school, I became friends with a few of the kids on the bus, even though most of them were boys. Bailey was one of the boys on that bus that I became close with. He was a shy boy, a little chubby, and huge cheeks that would make any squirrel jealous. He was cute, what could I say? That smile was killer, and I am a sucker for a great smile. However, I had a boyfriend. 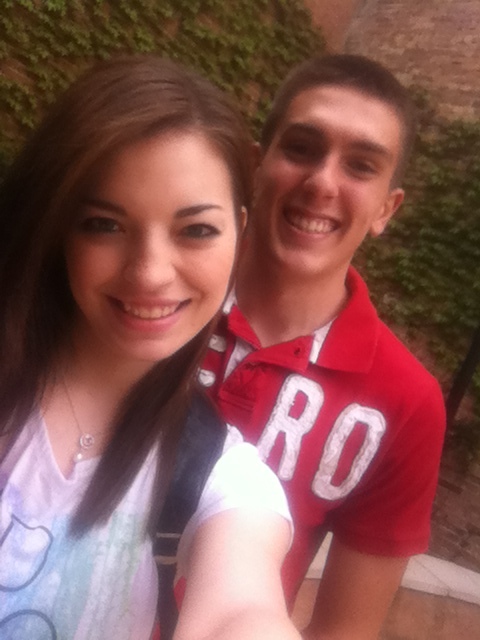 Fast-forwarding into high school, our freshman year, Bailey and I had math together. We sat by each other, occasional talked, but again, I always had a boyfriend, so I wasn’t overly interested. Our sophomore we had Chemistry together and he sat by me again. Again, like the universe was against us, I was in a relationship. But damn, this kid was cute. Football and puberty had erased any chub off his body once so ever. And that smile… dear lord. Anywho, I needed a partner to do our chemistry project with, and we started texting. My relationship was already falling apart with my boyfriend, and BAM, a month later we were dating. What? That wasn’t the cute story you were thinking of? Good, because that wasn’t the end of it. One day we were discussing Pre-k schools we went to. Bailey said, “I went to Sabina pre-k”. “Bull crap. I went there!” I said back. Sure enough, we had went to pre-K together. After hunting through all of our baby pictures, we found Bailey, me and Blake in a ton of photos. It was always in that order too. Bailey and Blake with me firmly in the middle. 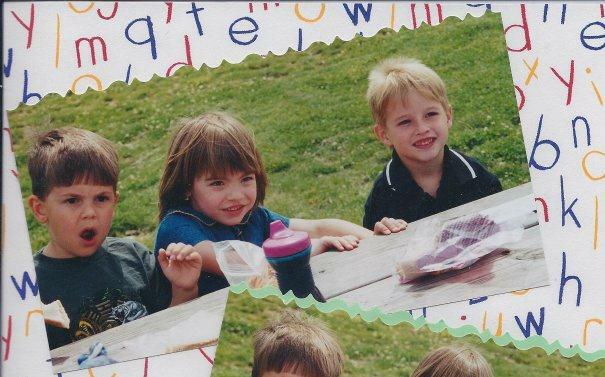 Blake had been my “boyfriend” in pre-K. I remembered Blake, but didn’t have one single memory with Bailey. We have been together for almost a year and a half. He has been a great friend through all of our lives. I think it was our fate to meet each other. we had been so close to each other all of our lives and at that exact moment, in high school, it was meant for us to be together. He has seen me cry, laugh, be so pissed off I could kill him, so broken I wish I would die, and so happy I feel high. He’s been by my side all of my life, and that is where I want him for the rest of my life. Thank you, Bay. I love everything you do for me. Every ice cream run, sweet text, and silly comments. 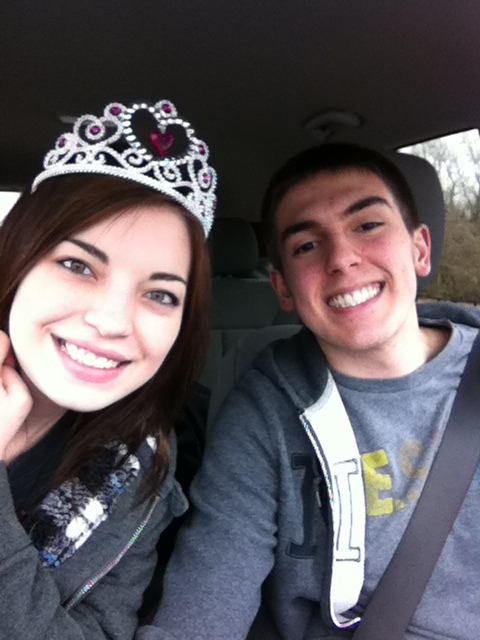 I will always be your princess, and I can’t wait for our futures. I will support you through med-school, the same way you’ve supported me through the tough times in my life. I am so lucky to have you and I have never been more in love with someone in my whole life. We’re gonna go far kid. Forever & always. This entry was tagged Bailey, Love, photograph, soul mate. Bookmark the permalink.